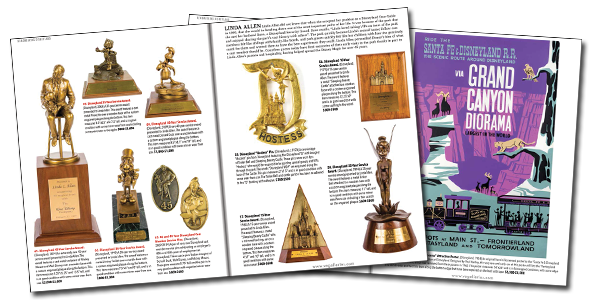 This is the softcover version of the catalog for our December 2017 "Remembering Disneyland" auction. 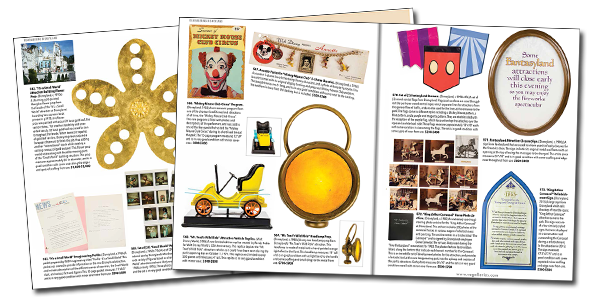 This gorgeous collectible reference catalog measures 11" x 8.5" and features lovely full-color imagery for nearly 800 items that will be available in the auction. 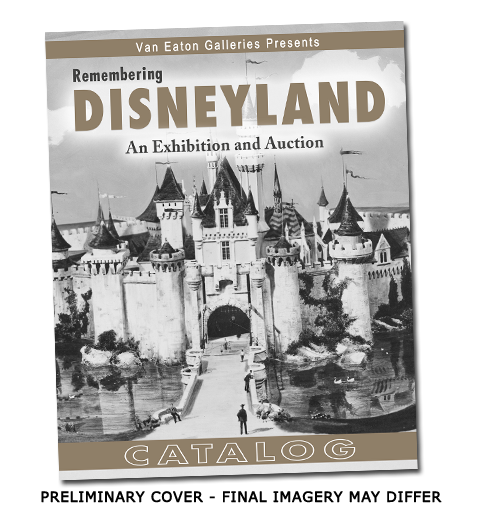 Van Eaton Galleries is proud to present “Remembering Disneyland”, an exhibition and auction of nearly 800 props, souvenirs, and artifacts from the park’s 60-year history. “Remembering Disneyland” tells the story of Disneyland through the memories and experiences of former Cast Members, performers, and individuals who have had a role in the legacy of the park. 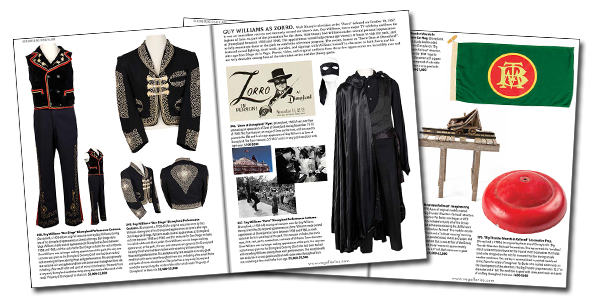 Highlights of this auction include a 1954 Disneyland Prospectus, a 1957 “Haunted Mansion” script, original props from California Adventure’s “Tower of Terror”, a complete set of furniture from a Grand Californian Hotel room, Guy Williams' original Zorro costume from park performances, an animatronic Fuzzball from the Captain EO attraction, and much more. 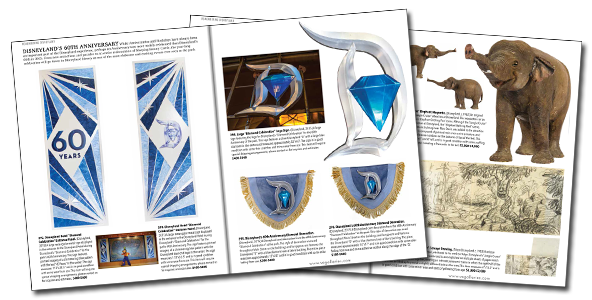 With items including original wardrobe, concept art, props, vintage souvenirs, and more, “Remembering Disneyland” is sure to have something for every Disney fan. IN STOCK NOW! Order now, while they're still availalbe.